At Your Cleaning Solutions, Denver’s premier window and construction cleaning company, believe in doing business the old fashioned way; with respect, honesty, and above all; with a client centered mentality. We understand the benefits of well cleaned properties and we are large enough to know how to get it done right, but small enough to care about our clients. At Clear View Windows LLC we understand that finding the right Window Cleaning professional is not always easy. The smallest of Window Cleaning problems can become a big inconvenience but we are dedicated to solving these issues for you. As a Licensed and Insured company you can trust and rely on us to do a good job the first time around and provide you with the needed support. We have been serving the Adams County area for many years now and our customers are very important to us, so we make sure they are always satisfied. Your Success is Our Success! Brookside service company provides window and gutter cleaning for the greater Denver area. Call today or check out our website! You only have one chance to make a good first impression. Let us help you make it the best one possible. We are a professional, family run business with over 10 years experience. Our water fed pole can clean up to five stories from the safety of the ground. McCourt Cleaning uses pure water technology, the best cleaning agent for glass. It can dissolve most minerals and organic compounds that stick to windows. After evaporation it leaves behind a spotless finish. There are no contracts. You decide how often you would like me to clean your windows. 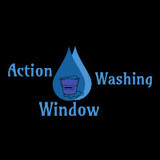 AAA Window and Gutter Cleaning is a commercial and residential window cleaning and gutter cleaning specialist. We have been proudly serving customers in Genesee, CO and its surrounding Front Range, CO area since 1988. Our company founder and owner is a native Coloradan who started the business in 1988. 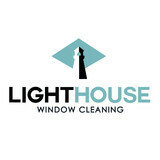 Initially the business started as a commercial window cleaning service. However, since then it has expanded to become a residential window and gutter cleaning business as well. AAA Window and Gutter Cleaning’s reliability, honesty, and dedication to pleasing its customers have earned us many referrals that continue to grow our business. We offer year-round residential and commercial window and gutter cleaning services and maintenance programs. All of our work is guaranteed. By choosing us, you are certain to get: •Exceptional Quality Services—Our high standards are reflected in everything we do. We do not make compromises to provide affordable services – no matter how big or small the job. •Speedy Results—We work quickly and efficiently. •Excellent Customer Service—We are known for our responsive customer service. We are fully licensed and insured. At AAA Window and Gutter Cleaning, we look forward to giving you a satisfying experience with your window and gutter cleaning needs! Contact us when you need any of the services we offer in the Genesee, CO region. 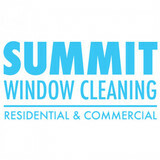 S Window Cleaning LLC is proud to be a part of the community since 2003. Santino Boscia the Owner of the company has done many things within the community. Santino is a Firefighter/EMT-B for a local Fire Department, has functioned as an ER Tech in the Emergency Room and has Coached High School Wrestling for a local High School. 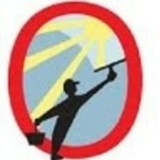 S Window Cleaning, LLC strives to make every customer completely satisfied with every swipe of the squegee. We have done work with many contractors whom are about to put homes, lofts or offices on the market. We make sure that the windows are in “tip top” shape for the new guy. Santino himself will show up to make sure “Tip Top” is what you get. We have done many Lofts, Corporate offices, Coffee shops, Dealership show rooms, Ranch style homes and also have property management contracts.